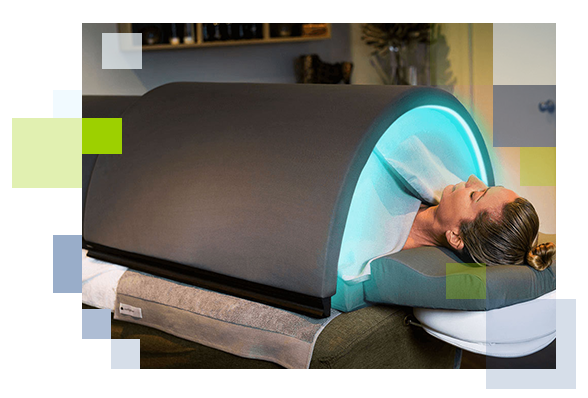 An Infared bed that heat up your body at the core rather than the skins surface. Seller carbon infrared aids in detoxification, weight loss, skin rejuvenation, pain relief, and will help in the morning blood pressure. The Infrared Body Wrap is a natural heat therapeutic treatment which uses Far Infrared Heat Energy (FIR) that penetrates twice as deep as other heat sources to target toxins and cellulite trapped in pockets below the surface of the skin. Using the body’s natural cooling system, the deep heat treatment simulates metabolism and helps to reduce cellulite, burn calories, remove stored toxins, increase weight loss and help to contour one’s own body. Simultaneously, the deep penetrating heat will help relieve chronic pain, improve joint mobility and increase blood circulation.